Griffin Server - 100 credits it's a special apllication that works COM cable ot MT-Box to calcaulte codes and repair phones for newest phones such LG G7100, LG C1100, LG C1200, Sharp GX30, Sharp TM100, Panasonic x60 , Panasonic x66, Siemens ST 60, Panasonic x70, Panasonic G50 new version, Panasonic G51, Panasonic GD55 new versions, Maxon 79xx, Maxon 797x, Maxon O2 X1, LG 7050, Nokia DCT4 phones (ASIC 2/5/6), Siemens ST 55 new. For using function of this apllication youw will need MTBox ORIGINAL and Internet connection. 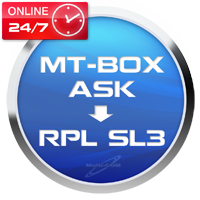 MT-BOX BB5 SL2 (S60) credits are service dedicated for MT-Box users allows to unlock leatest BB5 phones using only Fbus cables in few seconds. You can unlock such phones as 5320, N96, N95 8Gb, E51, 6220c and others. 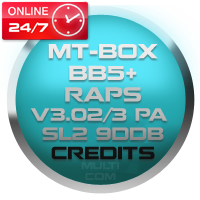 MT-BOX BB5+ RAPS V3.02/3 PA SL2 9DDB credits are service dedicated for MT-Box users allows to unlock leatest BB5 phones such as 6600s, 6600f, 3600s, 5220 using only Fbus cables in few seconds. Unlock are 100% safe and can repair demaged phones also. MT-Box SE DB2020- 100 credits allows for unlock leatest DB2020 phones with usign of MTBox SE. 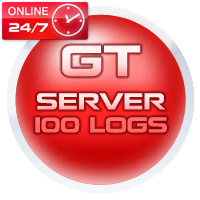 For use this function you need this logs, MTBox and Internet connection. Each phone unlock take 5 credits from account. 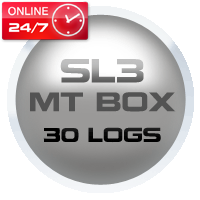 MT-BOX SL3 credits it's set of 30 redits assigned to your MTBox used for unlocking leatest SL3 phones using only Fbus cables in few seconds. Unlock are 100% safe due it's calculating unlock codes from your phone and you can even enter it manually.